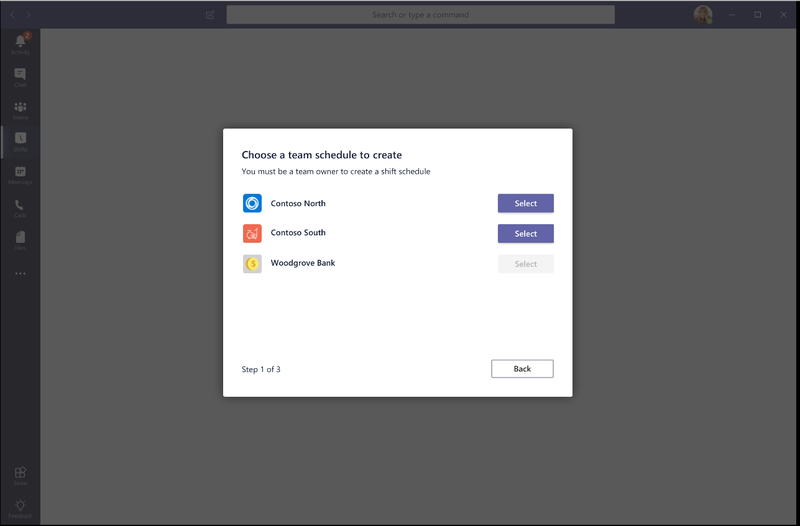 Get started creating and managing shift schedules in Microsoft Teams. Note: This is an early release of these features. We're frequently updating things, so the steps here might be a little different from what you see. 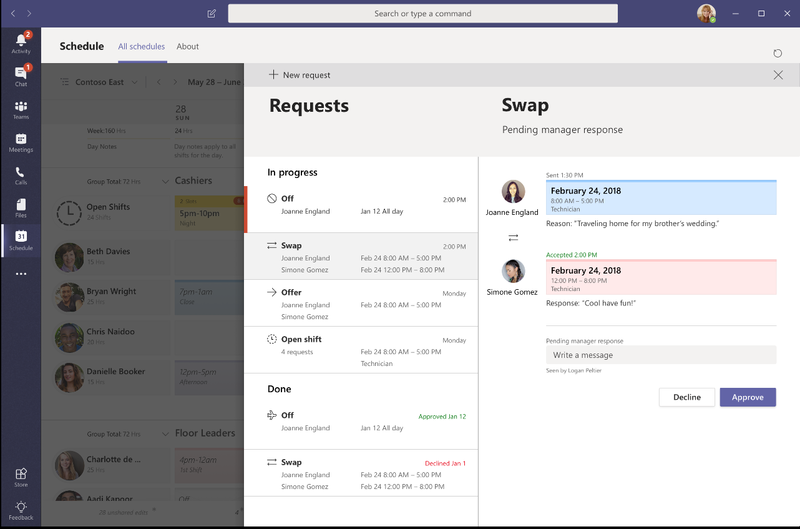 In Shifts, managers create and manage employee schedules, and employees can update their availability, submit shift requests, and request time off. 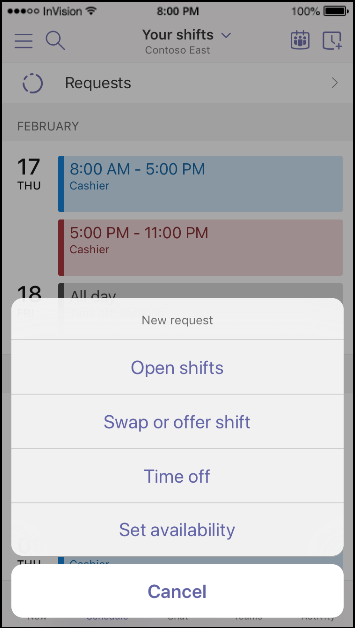 To open Shifts, click More apps > Shifts. 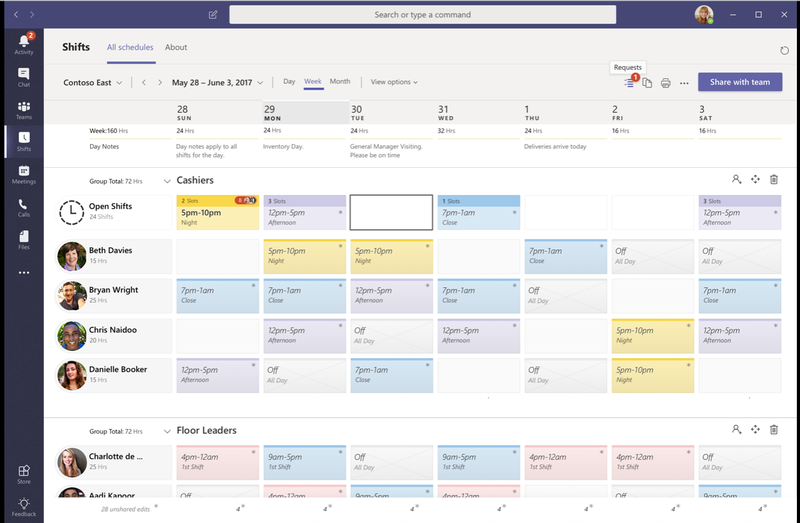 The first time you start Shifts, we’ll help you set up a shift schedule. Select the team you want to make a schedule for. 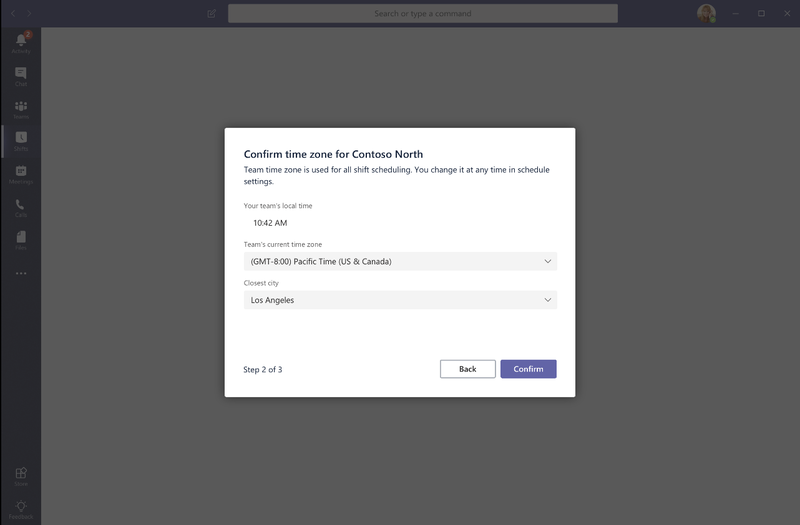 Set the time zone for your team. 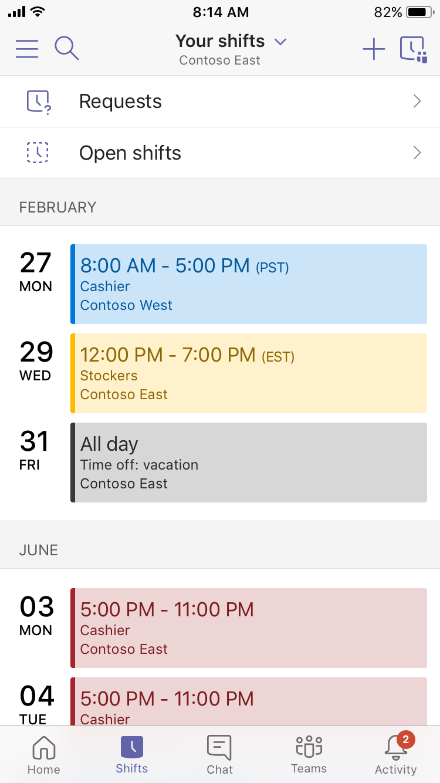 Watch (or skip) the tour that shows you the basics of scheduling shifts. 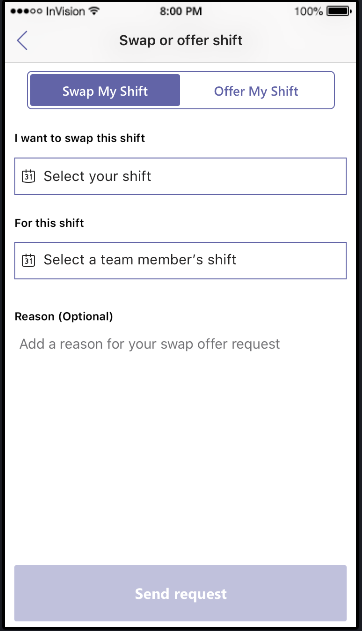 Add team members that you want to assign shifts to. 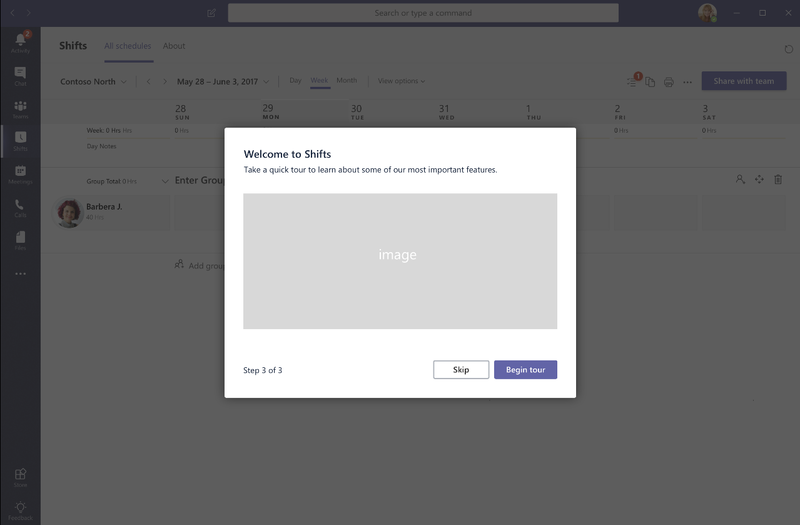 Create a shift by double-clicking the empty slot that corresponds to the person and date you want. 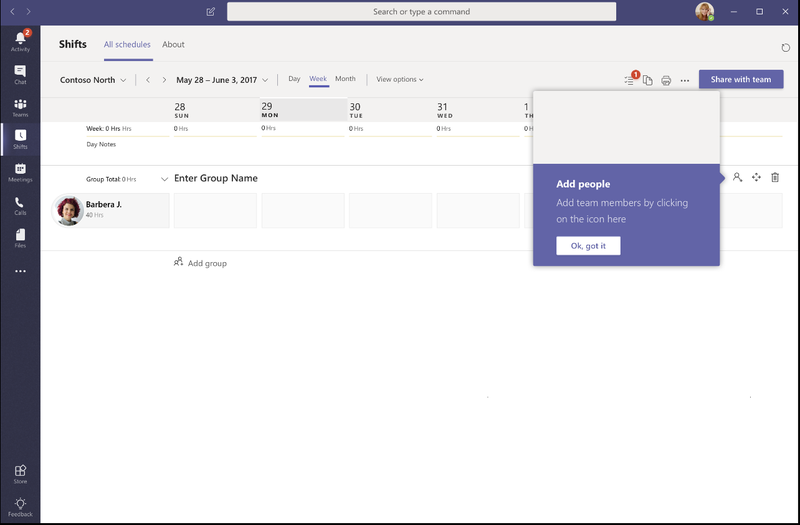 When you’re ready to share the schedule, click Share with team. All team members will be notified that they have new shifts. Note: To create a schedule for another team, click the down arrow next to the team name and select Create schedule. Click New request and then select the tab you want: Time off, Swap, or Offer. Complete the request form and click Send request. Your manager will be notified to accept or decline. 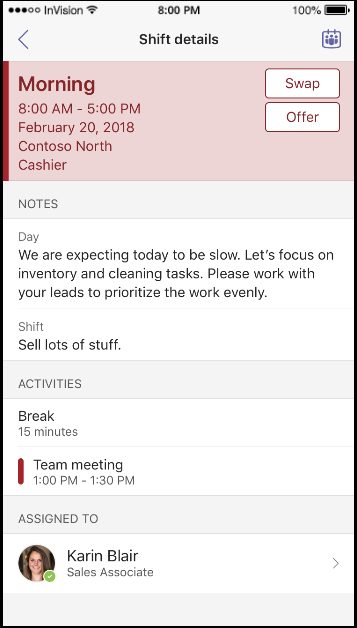 In the Shifts mobile app, employees will have access to their shift schedules and important announcements. 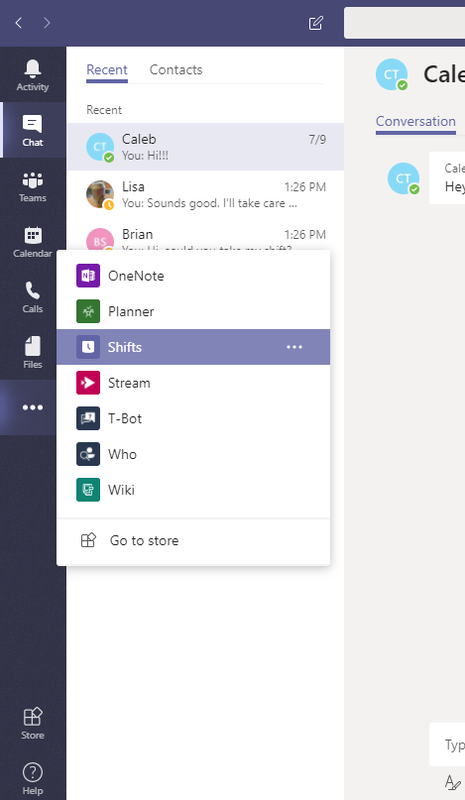 In Teams, swipe up on the bottom navigation and tap Shifts. 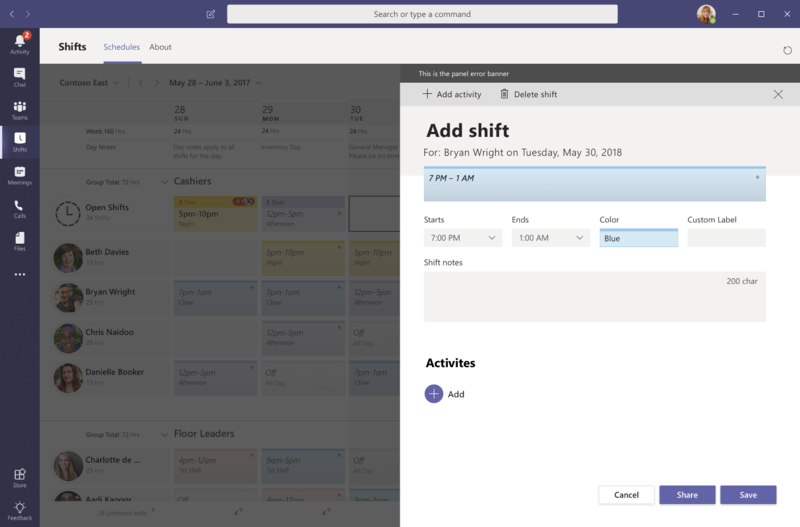 Keep Shifts handy by pinning it to the Teams navigation bar. Swipe up on the bottom navigation from the bottom of the screen. In Edit navigation, drag Shifts from More Apps to the top section. Note: You can only have four apps in the navigation bar, so you may need to remove other apps before you pin Shifts. Tap Shifts and then tap a shift to open it. Fill out the request form and tap Send request. 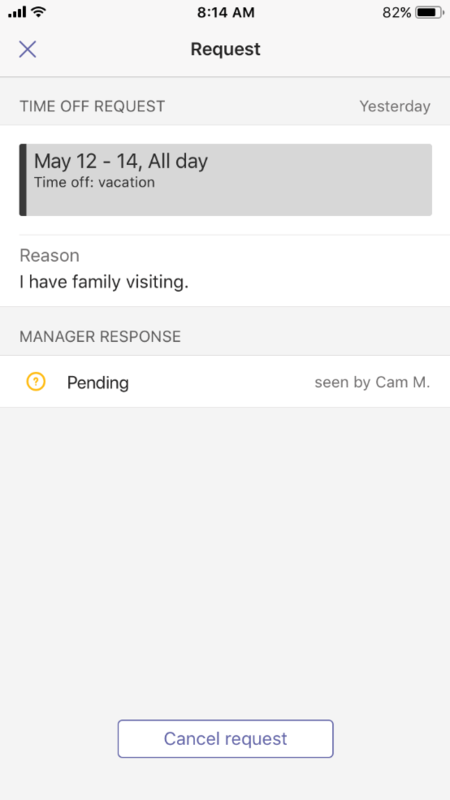 To check the status of your request later on, tap Requests in Shifts. Tap Shifts and then tap the icon in the upper right-hand corner. Select the type of time off. 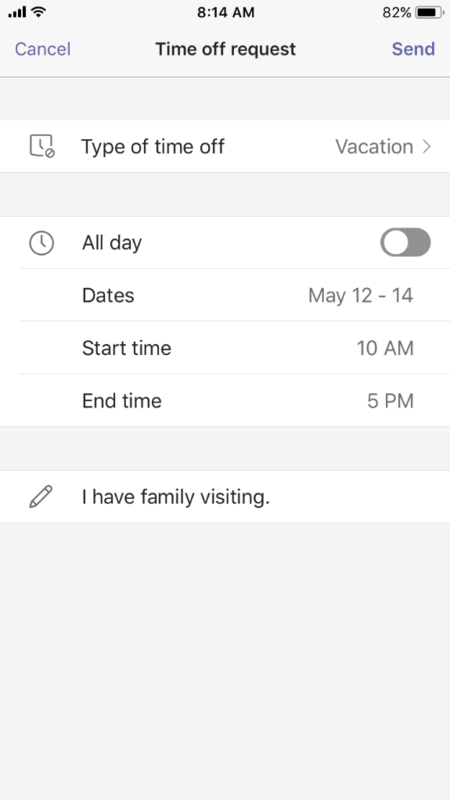 Select the date, and then select the time or turn on All day. Tap Send to complete the request.